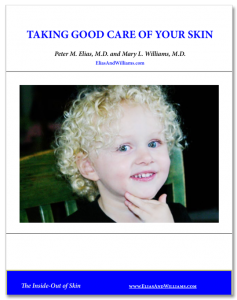 Peter M. Elias, M.D., Delivers UCSF Grand Rounds Presentation On The Link Between Atopic Dermatitis And Autism - Elias and Williams: The Inside-Out of Skin by dermatologists and skin researchers Peter M. Elias, M.D. and Mary L. Williams, M.D. During his presentation on October 10, 2018, “Deciphering the Link Between Atopic Dermatitis and Autism” to the University of California San Francisco’s Department of Dermatology Grand Rounds, Peter M. Elias, M.D. described recent research from the Elias Laboratory showing, in an animal model, how autism and atopic dermatitis may be causally linked.